Download Voucher 48 voucher(s) downloaded. Thank you for downloading our deal voucher of the Consultation. Please do not forget to get in touch with our Immigration Expert by phone. The contact is provided below. 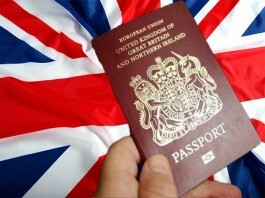 Sonis U.K. Immigration Services Ltd is an Immigration firm offering professional advice in UK immigration for 5 years. This DEAL will only be redeemed, if used with Voucher or the code presented to us either by email, picture or physical print-out of the Voucher. We are experts in the Citizenship, EEA and Immigration law in the past 7 years. Our advice is in the best interest of the Client or the Customer depending on their existing circumstances, without prejudice. Please Note: That there will be additional charge depending on the service provided and used by the customer or a client. For Example, making visa application, writing letter to the Government or Embassy or Authorising Body. Our prices are separate (excluding) from the Embassy or Government fees. Yeah! The Consultation for the Visas and Immigration Advice is completely FREE!! We are offering Free consultation and 20% off on all the services, if you book your work with us within 1 month of the consultation!! Hurry, offer is valid for limited time only! !